Our classic oil is made from a mix of traditional Italian olive varieties. Oil obtained in the first cold press is filtered and packaged in dark-green glass bottles that preserve the quality of the oil and protect it against oxidising. 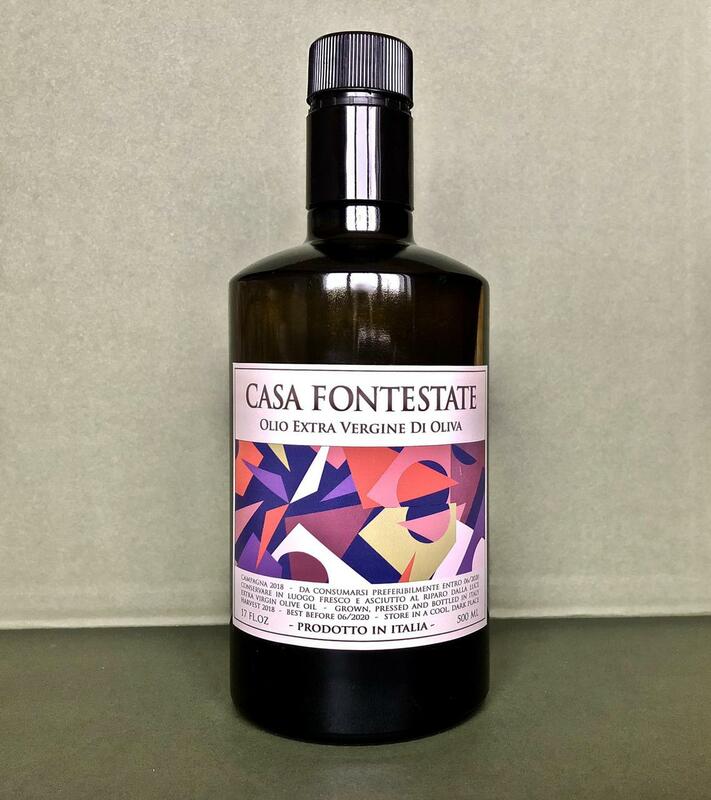 Yellow-green in colour, Casa Fontestate olive oil has a slightly bitter and memorable flavour that will set your throat atingle on its way down. This shows that the antioxidants are working their magic. The oil can be used for frying and works well with any dish. It is particularly good with seafood, fresh and pan-fried vegetables, grilled meat and crunchy, toasted bread.